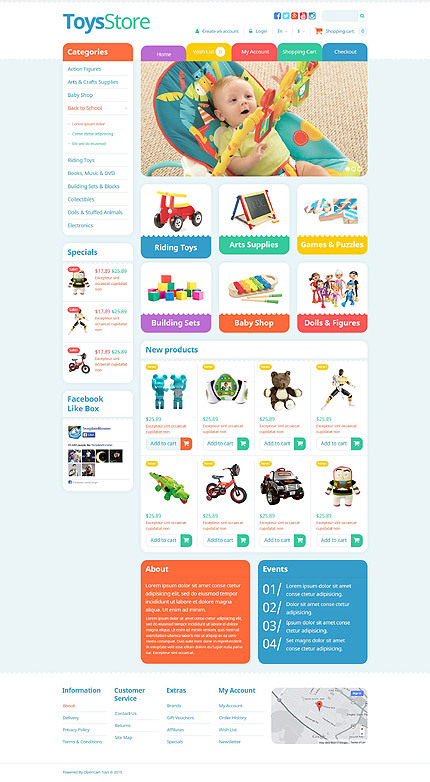 A good theme for online toys store. Its bright colors, pretty kids' images, rainbow menu and playful decorative elements create joyous and carefree atmosphere. Main menu is supplemented by sidebar links. Six promo banners make the navigation even more visual and intuitive. 'About' and 'Events' blocks are arranged above the footer, which, in its turn offers you additional menu and built-in Google map. 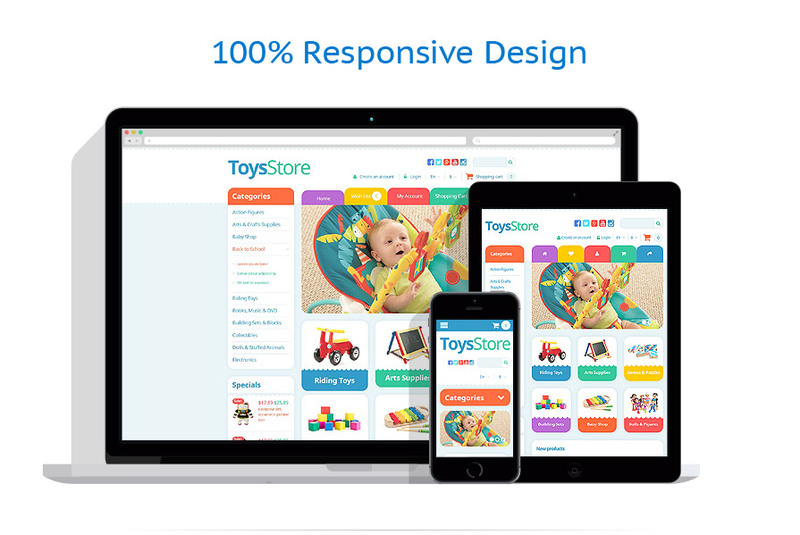 Template's background is clean and clear, so all text and other content look legible and professional. 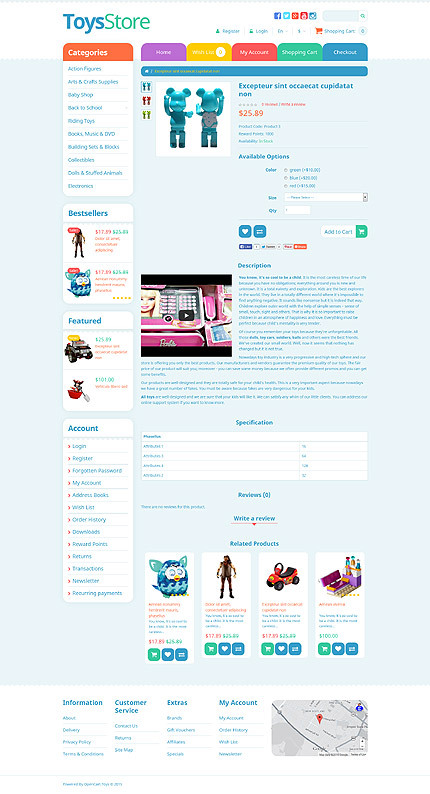 The theme was created for online toy and kids clothing stores.